A GIF of Muybridge's photos was stored on DNA. Above, part of a collection of his photos that was auctioned this year. In what sounds like a bit of science fiction, scientists have found a way to store information in our DNA and alter our cells to carry out computing functions in the body. Welcome to the burgeoning field of synthetic biology. Scientists have successfully encoded a short film (GIF) into the DNA of a living cell and recovered it later. This experiment could pave the way for engineered cells that record and store data. 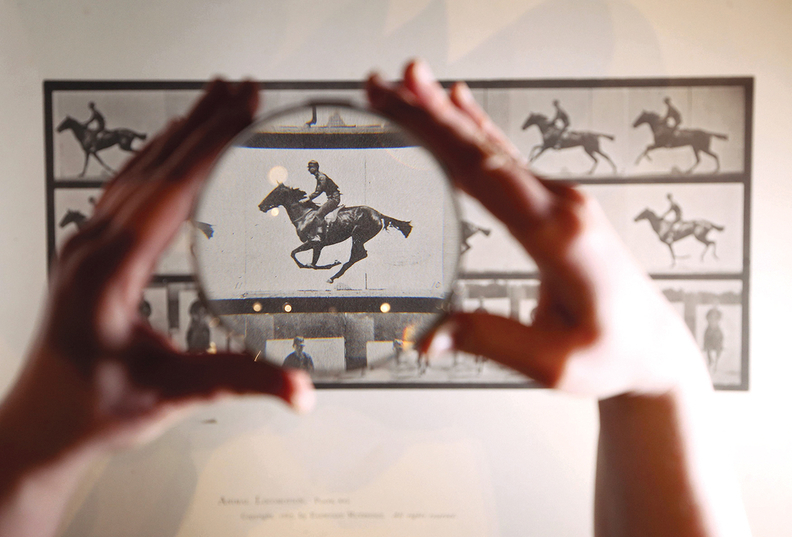 The bit of film chosen for the experiment was an example of a pioneering technology of its day: Eadweard Muybridge's 1870s stop-motion photographs that were a precursor to movies. The photos demonstrated that all four of a horse's hooves were off the ground simultaneously, if momentarily, while galloping. The implications for DNA technology are many. Harvard neuroscientist and lead author on the study Seth Shipman imagines a genetically engineered mouse whose cells could track the results of a treatment, a bacteria that could record life in an extreme environment, or record pollution in a stream as potential uses for the technology. Others have suggested more sci-fi and apocalyptic applications, like storing data in human cells to be passed on to future generations or preserving data in case of a nuclear apocalypse in radiation-resistant bacteria. In a separate experiment, scientists demonstrated how living cells can be induced to carry out computations in the manner of tiny robots, incorporating RNA logic gates into living bacteria. Both studies were published recently in Nature.